Explanation: Menacing flying forms and garish colors are a mark of the Halloween season. They also stand out in this cosmic close-up of the eastern Veil Nebula. The Veil Nebula itself is a large supernova remnant, the expanding debris cloud from the death explosion of a massive star. 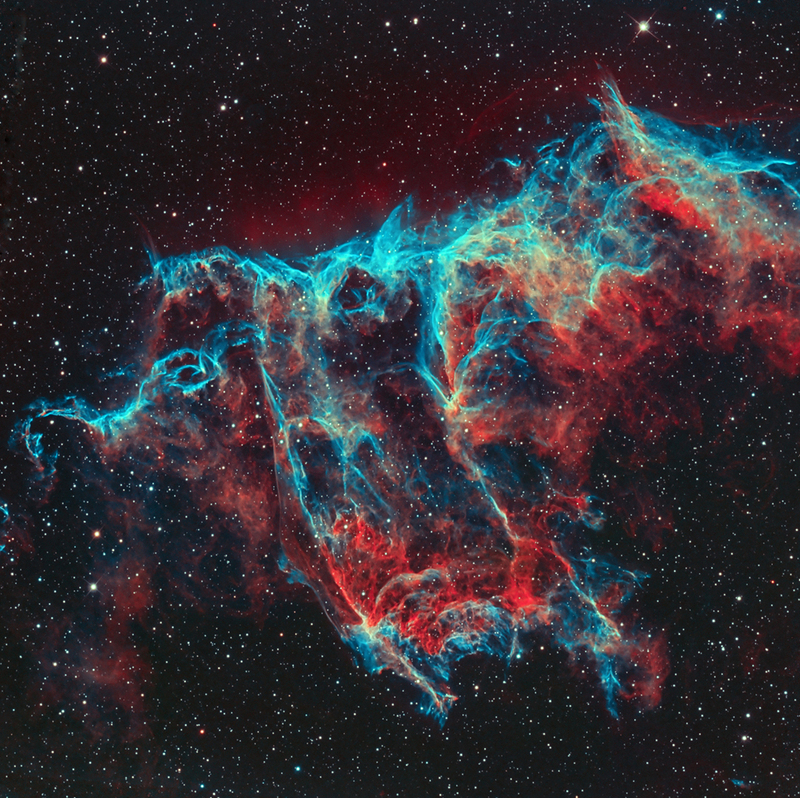 While the Veil is roughly circular in shape covering nearly 3 degrees on the sky in the constellation Cygnus, this portion of the eastern Veil spans only 1/2 degree, about the apparent size of the Moon. That translates to 12 light-years at the Veil's estimated distance of 1,400 light-years from planet Earth. In this composite of image data recorded through narrow band filters, emission from hydrogen atoms in the remnant is shown in red with strong emission from oxygen atoms in greenish hues. In the western part of the Veil lies another seasonal apparition, the Witch's Broom.